Charitable businesses, Bela Beli Produk Muhammadiyah Bermutu (Bedukmutu) dan Bela Beli Produk Mahasiswa (Bedukmawa), have successfully drawn public attention. The businesses aiming to create an independent economy at a private university attracted Universitas Pamulang (Unpam), Tangerang Selatan. Department Head of Management of Unpam Dr. Zaenal Abidin, S.Pd., M.Si. stated that he was interested in the success of the Budukmutu and Bedukmawa providing staffs, lecturers, and students to be entrepreneurs. “At this visit, we expect that UMY can share information about Bedukmutu and Bedukmawa. A business at our university is similar to UMY businesses so that we would like to learn UMY business and management system,” he declared at a meeting with Rector of UMY and Bedukmutu managers on Thursday (20/12) at meeting hall of A.R. Fachruddin A of UMY. Zaenal together with Department Secretary of Management, Head of Stiket Widya Dharma Husada, Head of Network Division of Unpam, and Department Head of Nursing also examined a correlation between Bedukmutu as well as Bedukmawa and the quality enhancement of education of students and lecturers at UMY. “Since we are working at a higher education institution, everything should be in accordance with Tri Dharma Perguruan Tinggi (the Three Principles of Higher Education). Thus, we would like to discover the correlation between the businesses and the higher education principles,” inserted Zaenal. Furthermore, Rector of UMY Dr. Ir. Gunawan Budiyanto, M.P. informed that the Bedukmutu and Bedukmawa bring positive impacts on lecturers, staffs, students, and Muhammadiyah members. The business system encourages various parties to sell goods and services through and within the system. “We provide students to a medium to foster their entrepreneurship skills, so do lecturers and staffs. The system enables turnover of money to occur among UMY and Muhammadiyah members. Students can also do an internship and research on the system,” maintained Gunawan. 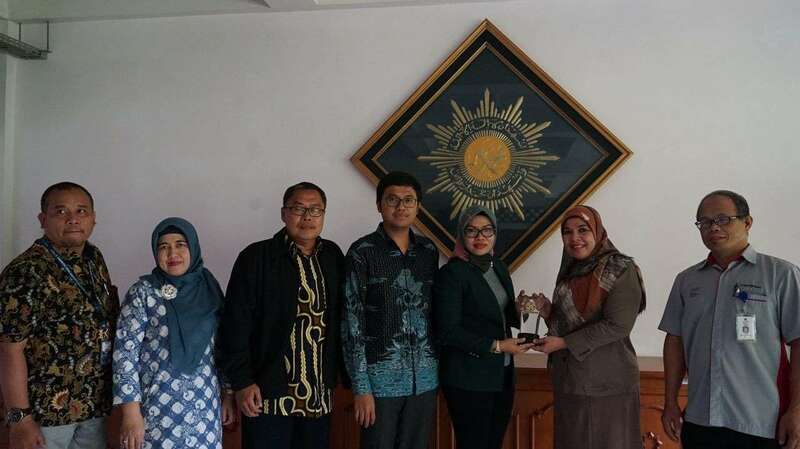 At the end of the meeting, UMY was requested to assist the Unpam to build a business as the Bedukmutu and Bedukmawa and both universities signed Memorandum of Understanding (MoU). “We will report results of this meeting to Rector of Unpam to be followed up. Besides, the MoU can be undertaken soon to establish charitable businesses at our university,” added Zaenal.